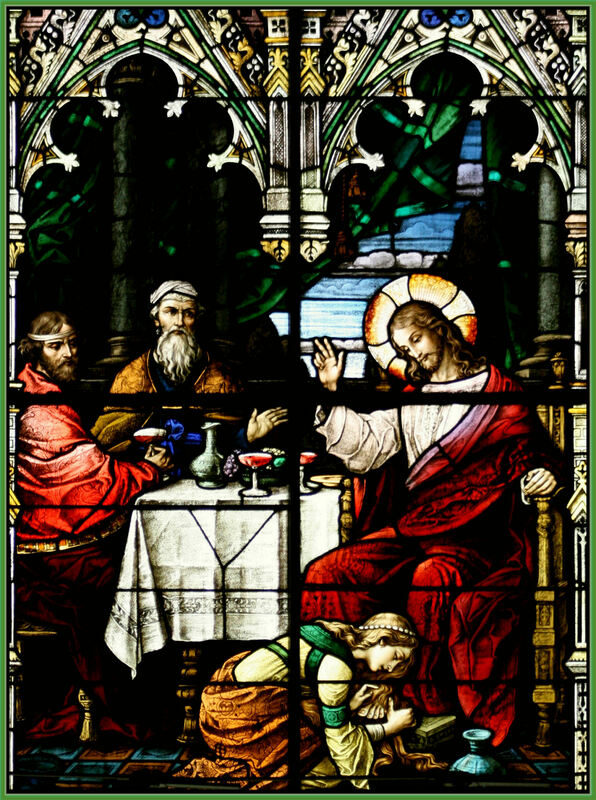 St. Mary Magdalen said to St. Mechtilde: "Whoever shall give God thanks for all the tears I shed upon the feet of Jesus, our most merciful God will grant him, through my intercession, remission of all his sins before his death, and a great increase of love of God." O most merciful Jesus, I give Thee thanks for that work of piety which the blessed Mary Magdalen wrought on Thee, when she washed Thy feet with her tears, and wiped them with the hair of her head, and kissed them and anointed them with fragrant ointment; whereby she obtained from Thee such signal grace that Thou didst pour into her heart and soul so great a love of Thee, that she could love nothing apart from Thee; beseeching Thee, that by her merits and intercessions Thou wouldst vouchsafe to give me tears of true repentance and pour into my heart Thy Divine love. Amen.